Quick recap since we last posted. 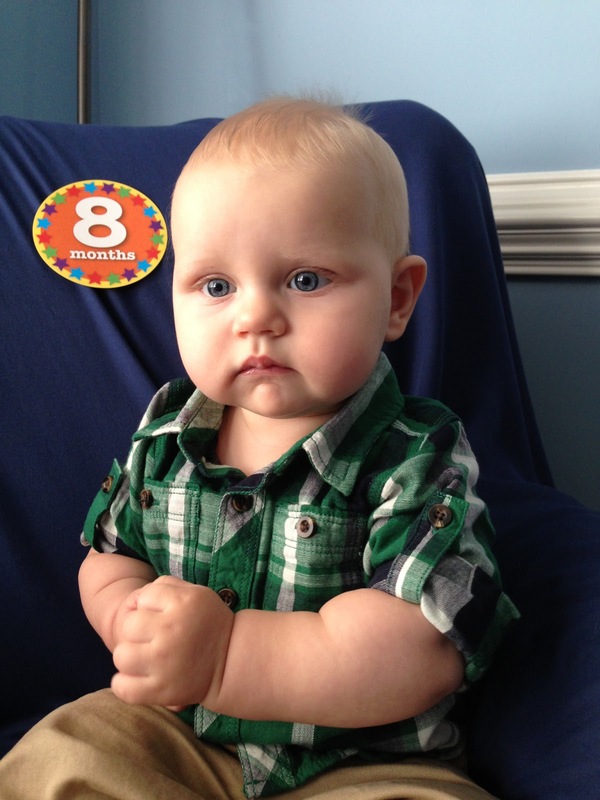 Trent turned 8 months. Mom cannot believe how old he is getting. A third top tooth is popping out. We made our first volcano at home using vinegar and baking soda. I was a bit nervous at first. I've been reading about those things in books and I know they EXPLODE! However, I learned the home versions are just fine. Speaking of volcanoes, Trent can do a pretty good impression of one when he spits up. That kid had an emergency bath tonight. 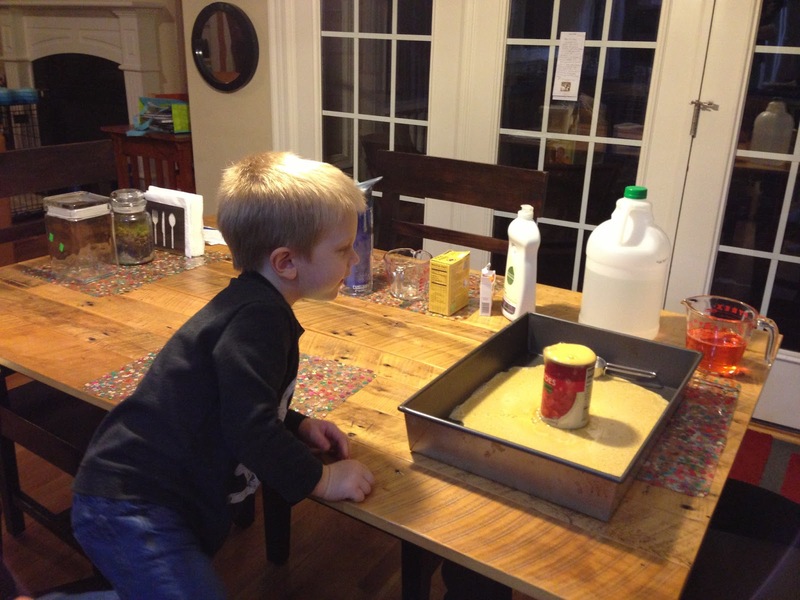 Good one Trent - you figured out one method of delaying bedtime! Last Wednesday was really warm. The park was packed. Mom put Trent in a swing for the first time. He didn't like it as well as his jumper. Mom came into my preschool and read about garbage trucks. I enjoy playing pretend now - like pretending to deliver mail around the house or that our couch is a boat. I also must open all mail that comes to the house. Mom and Dad told me I cannot open anything that says "tax" on it which made me really mad. I told them I wanted some tax too and they just laughed at me. They tried to get me to say that on video but I didn't give them the pleasure. I made them make me some pretend tax mail for me. Trent is officially an "older" infant at 8 months. 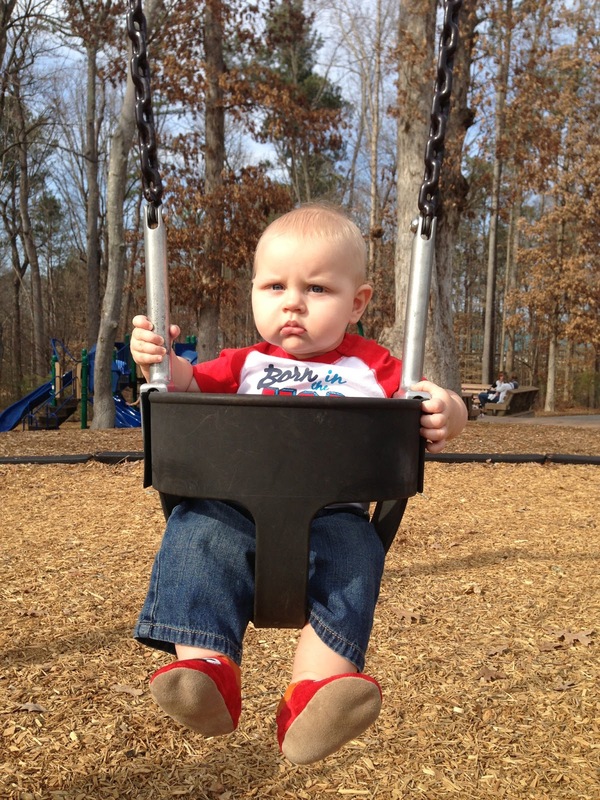 Not so amused Trent swings at the park for the first time.